As many of my readers know I'm a avid listener of podcasts and one of my favorites mentioned GeekTonic on todays show. HTGuys does a daily HDTV Podcast that covers the news, some reviews and pretty much all HD-related coverage. They reviewed the always popular, bi-annual TV Season Premiere Guide in quite a bit of depth. If you're a TV fan and like HDTV, be sure and check out the January 9th HDTV Podcast (#344). I listen to most of their podcasts and highly recommend them! This is probably the third time the GeekTonic TV Premier Guide has been mentioned on excellent podcasts - the last time was on the highly recommended EngadgetHD podcast. By the way, I updated the TV Premiere Listings PDF downloads with several updates and improved formatting. There is a by-date listing and a alpha-by-name listing available for download so be sure and check it out. Today is the day as we mentioned a few weeks ago that boxee opens up its alpha to all Mac, Ubuntu and AppleTV users. Boxee saved the full announcement for CES where they are demonstrating the boxee app. They are also widening (moving it to private beta) the Windows version to more people with "thousands of invites each week" going out. The boxee team has also started the Boxee API with a developer.boxee.tv site with guidelines for developers who want to build apps to run on boxee. 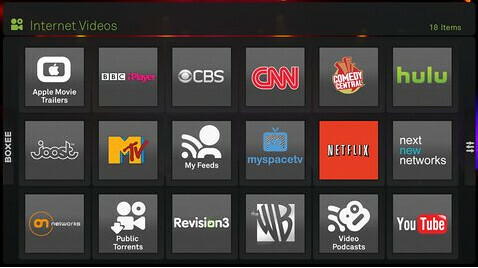 For a free app, boxee offers quite a bit to its users. Hulu, Netflix and lots of other online streaming along with media playback using the 10-foot interface. 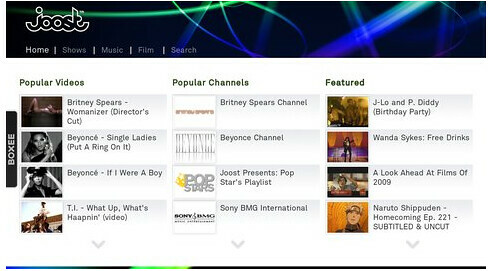 Hulu has become one of those most asked for applications for Media Devices since Boxee added Hulu support in 2008. At CES, SageTV was doing demos of their pre-release Hulu playback on the new SageTV HD Theater (works in HTPC extender mode or standalone mode). Dave Zatz is covering CES in Las Vegas and was able to stop by the SageTV CES suite to check Hulu on SageTV out. If you like Hulu and want an easy way to get it to your Television or HTPC, read on. Those of you paying attention to GeekTonic know that Hulu on the HD200 is already possible through the PlayOn UPnP add-on. The problem is the Playon interface on the HD200 in its current form is just plain painful to use and you have to pay Playon to use it past its trial period. The interface (according to Dave Zatz) provides simple browsing and selecting of Hulu shows - something that can't be said for the Playon implementation in the HD200. The SageTV guys were showing the hulu support in their CES suite on the SageTV HD200 (both extender and standalone) as well as in Sagetv itself (without the extender. Obviously this is in pre-beta so it will be a short while before it makes it to the general SageTV community. Being in pre-beta we're not positive whether it will work on the older SageTV HD100 extenders or the really old MediaMVP extenders, but it looks like it will work with the HD200's and with HTPC's with SageTV installed - excellent news for sure. I would guess that it will probably work with the HD100s, but we'll just have to wait to see if that pans out. For those wondering whether SageTV has a direct partnership or like Boxee just using the Hulu's flash player directly, I don't yet have an answer on that. Dave Zatz commented on his blog about technical details and any possible relationship with Hulu. Because it’s still early in development, the Sage folks were a bit reluctant to discuss the technical details. But it sounds like at some point, the service may also be offered to their original extender product… though no guarantees. Also, I’m unsure the extent of their communication or relationship with Hulu. direct partnership or is it like Boxee where they're just using the Hulu's flash player directly. I really expected to see Netflix Watch Now support before Hulu, but I'm happy with SageTV's choice. Hulu is a very strong complement to the SageTV's HTPC program. You already can watch liveTV, recorded TV, timeshift your TV, commercial detect your TV content etc. Now you can catch those shows you forgot to record or just can't find on the air - right from your TV (with SageTV) and your remote thanks to Hulu. The biggest downside to Hulu on the TV is it's 480p streaming quality, but hey - it's an additional source of content that is free. Very hard to argue with that. Microsoft continues to put very little marketing focus on their HTPC product built into their operating system. In yesterday's keynote address it seems Microsoft mentioned the "digital home vision", they mostly left Media Center out of the talk - no videos, screen-shots or much talk about Media Center. Sure, Windows 7 (beta available tomorrow, 1/9/2009) is their main new product coming soon, but Media Center is part of that OS product and continuing to ignore Media Center because of lack of perceived interest just begins to be a self fulfilling prophesy. I know they have some news to talk about with Media Center - perhaps they just can't talk about those things yet. But you'd think they would want to show at least a few screen-shots and mention the new features of Windows 7 Media Center. Disappointing to say the least. I'm not the only one disappointed, the screen-grab at the top of this post is from the twitter feed of Ian Dixon, a very popular Media Center enthusiast. Another Media Center fan, Chris Lanier has a another write-up on the lack of Media Center in the Microsoft keynote address. 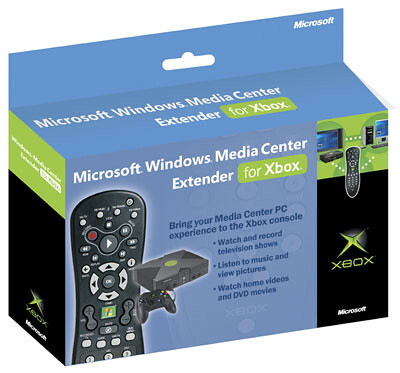 There have been some interesting CES news items related to Media Center extenders and integration into TVs etc, but I'm hoping Microsoft will have more to say about Media Center in the coming days. We've followed the analog hole superhero, Hauppauge HD-PVR for the past year since it was first announced at CES. 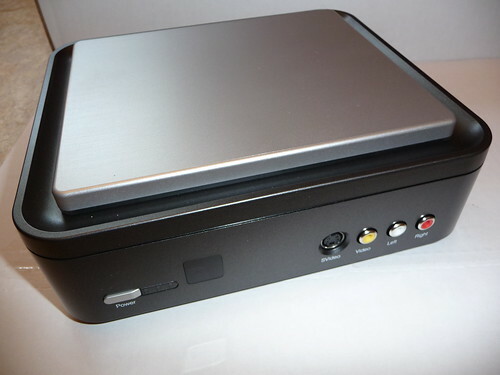 During that time, the likes of SageTV, BeyondTV, GBPVR, MythTV and MediaPortal all were able to support the HD-PVR. SageTV won the mult-platform support award first with Windows, then Linux and finally Mac support. 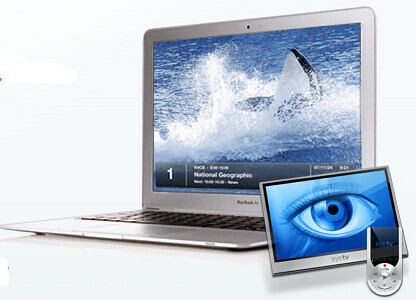 For those Mac users SageTV was the only way to use the HD-PVR, but now you can use it with the Elagato Eye TV for the Mac. 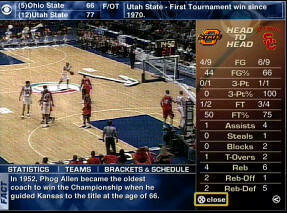 Actually a beta for EyeTV was released on November 13th and many beta testers have been hard at work since then. 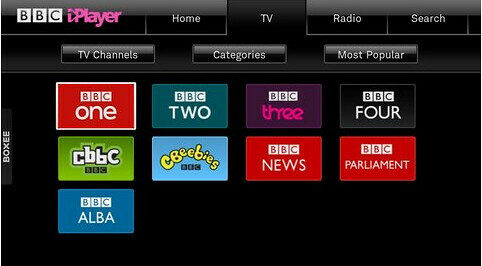 It's still in beta, but you can go sign up and try it out if you have a desire to match up your EyeTV HTPC with the Hauppauge HD-PVR. I think we'll see support for one more HTPC software platform in the next few weeks - keep your eye on GeekTonic for that. 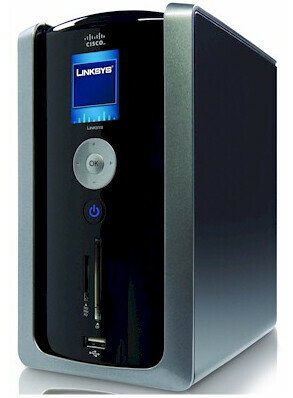 Linksys announced the "Linksys Media Hub NAS" at CES. This new Media Network Attached Storage Device looks pretty good and has a very nice feature set as well including a front-panel LCD display and card reader. They'll have three different models: 500 GB without the LCD for $350, 500 GB with LCD for $400 and 1TB with LCD for $430. 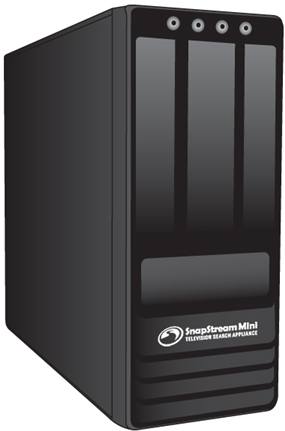 Each of these models can be expanded from the included single hard drive with a second hard drive of your choosing. It's built on a linux platform that will work with PC, Mac and of course Linux and includes a nice looking web inteface with media browsing and playback capability. Streaming to UPnP DLNA devices is included as well as the ability to stream iTunes. Not a bad little device if you're looking for a way to expand your media storage options. What Does BTV Command Line Tools Do? Initiate a streamsnip job (removes unnecessary HD signal data) from the command line without knowing the recordings major and minor channels or even the correct stream information. In laymans terms, streamsnip removes what you don’t need from the OTA digital recording and this app doesn’t require you to understand how or why. Those Roku Netflix Player naysayers have a few less things to complain about. The Roku Netflix Player has upgraded to HD Netflix Watch Now (HD titles available) via firmware update. Roku now has announced that they’ll be offering over 40,000 Movies and TV Shows for VOD rental or purchase from Amazon Unbox. For me, Netflix Watch Now and Amazon Unbox make a great paring if Amazon Unbox gets it’s HD on soon. Throw in Hulu or CBS for instance and you have yourself a nice segway between internet video and your television. My preference would be to put this all under the hood of a single device (read HTPC or the TV itself) but its hard to argue against a box that would bring all of these things to the television for a low price. Still, as Dave Zatz states Amazon Unbox needs HD – without it its just not as appealing. Microsoft has posted a short video that takes you from their work to get the PC to the living room even before Media Center. 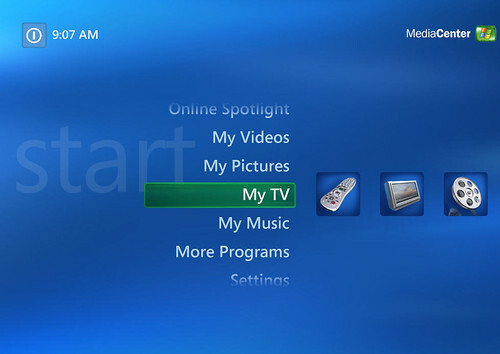 It’s short, but shows the evolution fo the interfaces along the way as well including a quick overview of Windows 7 Media Center. 2001 Bill Gates keynote address for the Windows XP Launch showcased version 2 of SnapStream's PC DVR product (predecessor to Beyond TV). Note this love for Snapstream’s product was likely at the same time Microsoft planned to release their competing product in the very next year! 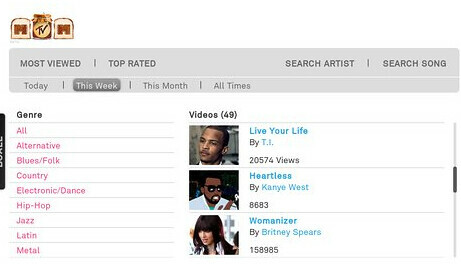 2009 Windows 7 includes newest version of Vista Media Center – there will be a few exciting surprises for this one: Stay tuned for news on that very soon. The FreshDV podcast has a good interview of Rakesh Agrawal, founder and CEO of Snapstream Media. The FreshDV is a good podcast focused on digital video. In this interview of Agrawal the consumer PVR software, BeyondTV is mentioned, but the focus is on Snapstream Enterprise. It's worth a listen for anyone interested in Snapstream and especially if you're interested in Snapstream's Enterprise Product. The holidays are over and the TV networks are back to business. This week will be a busy one for TV watchers with a bunch of new premieres and returning shows. You'll note that most of the new premieres are reality tv shows - a very bad but common trend. Homeland Security (8pm on ABC – Available in HD)- New Reality Series produced with the full cooperation of several agencies of the Department of Homeland Security. So I'm betting this one will be a bit different than the other reality shows. That’s it for this week. Stay tuned for many more premieres including 24, The Apprentice, Kyle XY, American Idol, Battlestar Galactica and more which you’ll find on GeekTonic this coming Sunday morning and each week on Sundays.